There were 648 press releases posted in the last 24 hours and 153,469 in the last 365 days. 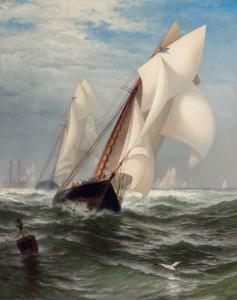 MILFORD, CONN., UNITED STATES, November 6, 2018 /EINPresswire.com/ -- MILFORD, CT. – Important American paintings from the 19th century through the contemporary era were available during Shannon’s semi-annual American and European Fine Art Auction on Thursday, October 25, 2018 in Milford, Connecticut. 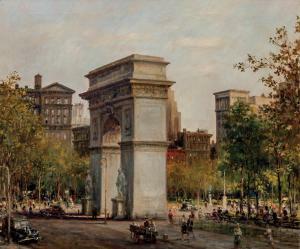 Featuring 237 lots, the auction included quality examples of American Impressionism, American Coastal scenes and Modernism. 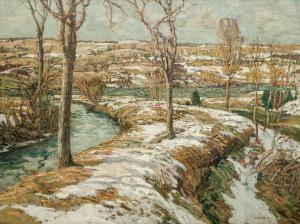 There were several other notable sales including Walter Schofield’s large Winter Landscape, 45x60 inches, that sold for $75,000 to a buyer in the UK. A masterpiece quality painting by Monhegan artist Andrew Winter achieved a $42,500 sale price against a $20,000-30,000 estimate and a light-filled oil painting of a Red Barn in the Winter by Walter Launt Palmer brought $75,000.